Whether you have a kit or an RTR, your car or truck no doubt came with a few tools for essential maintenance tasks. Helpful, but hardly ideal if you want to work on your car frequently, especially if you want to enjoy doing it. A dedicated set of RC tools makes bench time a real pleasure, and most of us probably add more tools to our kits on the regular. Here are the must-haves–collect these as you need them, and see how much easier it is to keep your machine in top shape with the right tools. 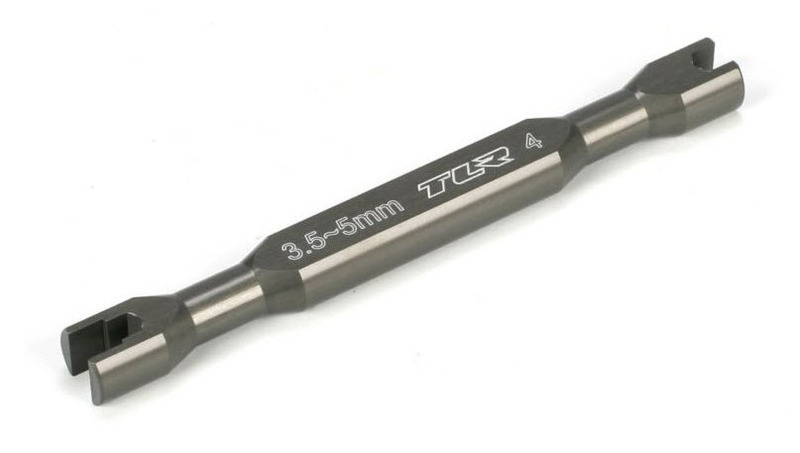 Unless your RC car doesn’t use hex hardware (in which case, jump to number 2), a good set of hex drivers should definitely be the first purchase you make to outfit your RC workshop. Repairing and maintaining your car with hex drivers is at least 1000% easier than using the “L” wrenches that came with it. The gold standard for hex drivers is MIP, but there are lots of other good choices too. For example, this Dynamite set, or this Duratrax combo. Also nice: The Traxxas tool kit (and similar sets from other brands) with ratcheting handle and double-ended bits, including nut drivers. Video review here. MIP’s classic hex drivers are the gold standard. Even if your car or truck has hex fasteners, you’re bound to run into Phillips hardware in the RC hobby, and high-quality tools make a big difference. 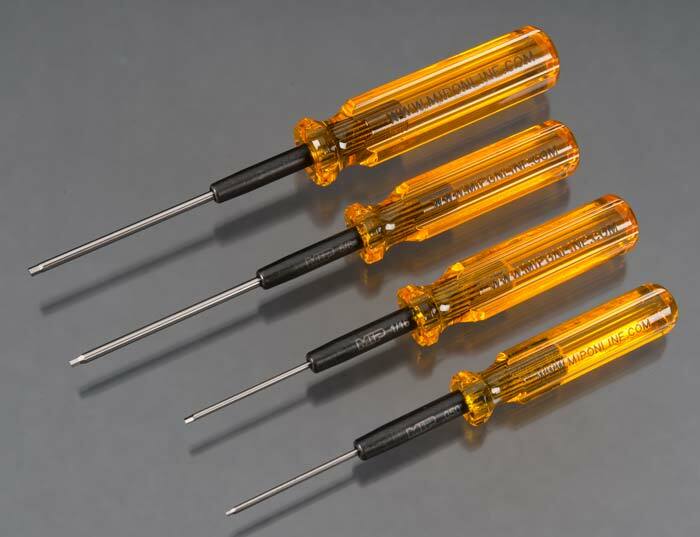 Don’t confuse high quality with high-price though; a pair of genuine Tamiya screwdrivers in #1 and #2 sizes with coated tips will only set you back $12-15 bucks. No brand uses more Phillips screws than Tamiya–no wonder they offer a great screwdriver. Most hobbyists have slip-joint, needle-nose, and 6″ needle-nose pliers, but the go-to is usually the standard 5″ size, like these from Excel. You’ll use these to insert parts in tight spaces, hold wires for soldering, squeeze e-clips into place, and many other jobs. You probably have a set of these in the garage–treat yourself to a new pair just for RC. 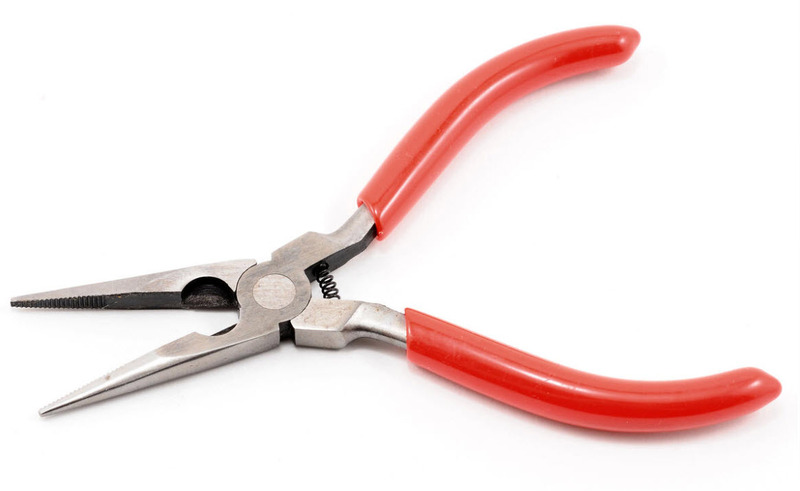 When plastic parts need to be removed from “trees,” flush cutters are the tool you need. As the name implies, the jaws cut flush with the surface of the part, so there’s no nub left behind where the tree attached, and no need to shave off that nub with a hobby knife. Tamiya makes the best flush cutters, but the inexpensive Xuron cutters do a good job too. Tamiya’s “Side Cutter for Plastic” is the Mercedes of flush cutters. Make that Lexus, they’re Japanese. Or “X-Acto” knife as nearly all of us call them, regardless of brand. No matter what brand you get (Excels are popular in hobby stores), you’ll use yours frequently for trimming decals and scoring bodies, and lots of other slicing tasks. Don’t be stingy with the blades, replace them as often as you need too. You’ll use this guy all the time. Keep extra blades handy! When assembling shocks, it’s critical that the shock shaft not get scratched, which makes it hard to hold when installing rod ends–you need pliers, but the steel jaws will gouge the shafts. 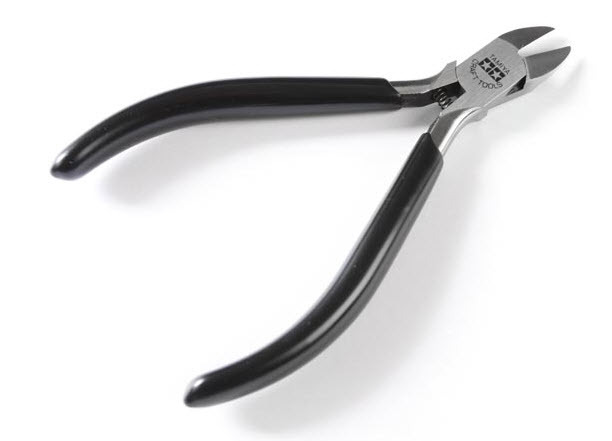 Specialized shock pliers are the answer, like these from ProTek RC. The smooth aluminum jaws are softer than the steel shafts, so you can squeeze tightly without hurting the shaft’s plated finish. Bonus: there’s also openings to grip shock bodies and caps, and post that pops out and re-installs pivot balls in rod ends. Nice tool. Does your car have shocks? Pretty sure it does. Get a set of shock pliers. 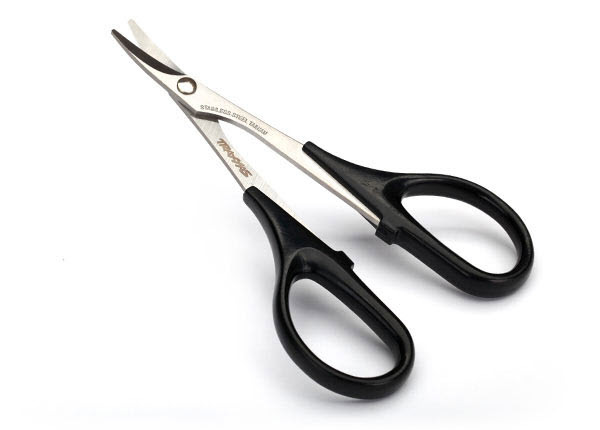 Don’t even attempt to trim a Lexan body without a pair of these specialized scissors. The curved blades are essential fur cutting round corners and wheel openings, and the short blades won’t stab the body as you navigate the trim lines. Lots of brands offer body scissors–they’re all good. If you want to wreck your new Lexan body, trim it with whatever scissors are in the kitchen drawer. Otherwise, use body scissors. After trimming your body using the right tool (body scissors), keep it going with the right tool to make the post holes: a body reamer. Unlike a drill bit (which is likely to wander and goof up your body) or the drill-it-with-your-hobby-knife technique (which wrecks the blade and makes a jagged hole), a reamer will cut a perfectly round, smooth-edged hole with just a few twists, in the exact spot where you start the job. Some, like this one from ProTek RC, are marked with hole diameters–handy. If your car or truck has turnbuckle camber and toe links, it probably came with some type of “good enough” wrench to turn them (usually a thin, stamped-steel thing). 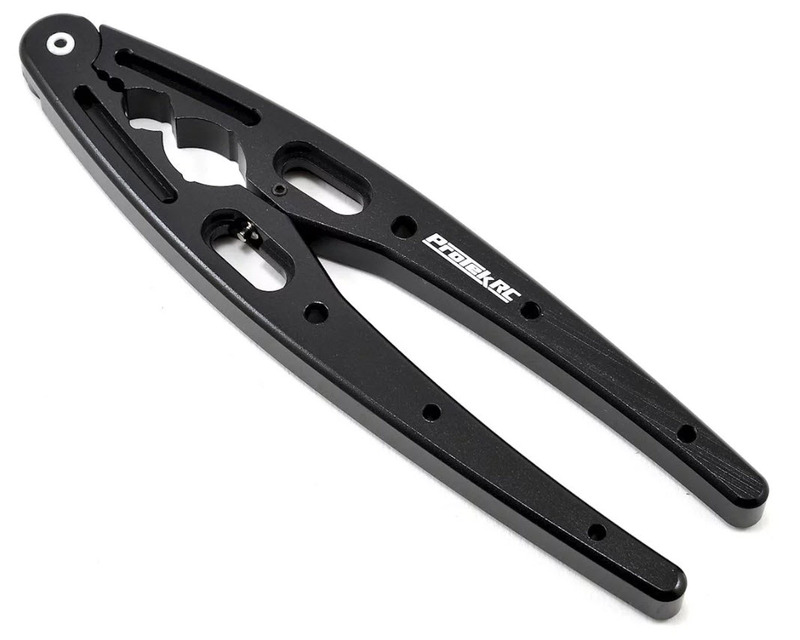 It works, but if you’re twisting turnbuckles on the regular, you really should upgrade to a quality tool like this one from Team Losi Racing. Fits better, doesn’t slip off, nicer to hold…so worth it. Don’t struggle with a stamped kit tool–get a quality turnbuckle wrench for easier, faster suspension tuning. This one’s a classic. Many brands sell camber gauges, but RPM is the original and king. This handy device will tell you home much your wheels angle toward or away from the chassis (their “camber setting”), so you can dial in the amount you need and duplicate it precisely for each wheel. 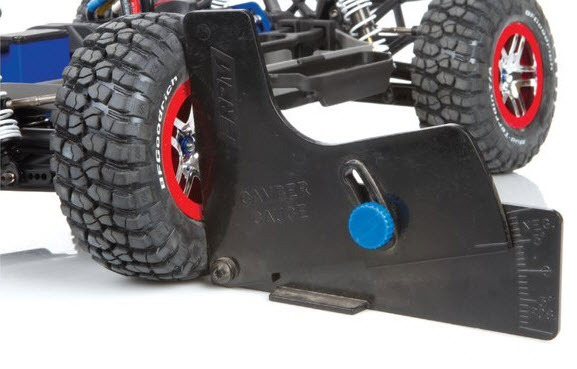 In addition to the standard-size camber gauge, RPM also offers a taller monster-version for bigger monster truck wheels. A camber gauge is a suspension-tuning essential. RPM has sold a gazillion of these things. HOW ABOUT A POWER DRIVER? Lots of serious wrenchers save their wrists from getting cooked by using a power driver. If you want to add one to your kit, be sure to get one with a clutch that can be set to slip before you strip a screw. Or, just stop the power-driver before the screw bottoms out, and use your hand-driver for the last turn or two and final tightening–you’ll still save a lot of time. Premium units from brands like Milwaukee, Makita, DeWalt, etc. 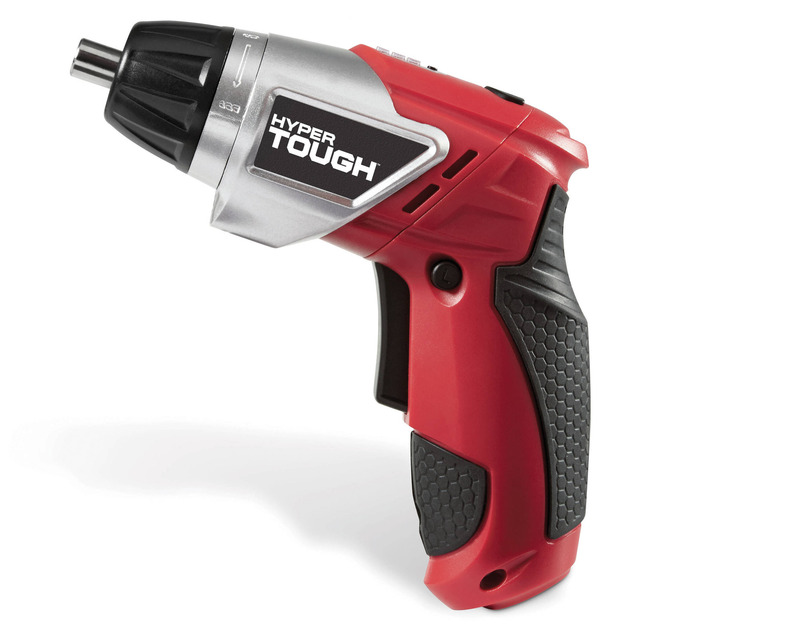 can be expensive (around $60 and up), but 4-volt models are easy to find at low prices, like this Hyper Tough cheapie. I’ve got most but not all of these tools. I bought the power driver by Milwaukee because it was on sale, and it has saved my wrist several times over! But you’re right about one thing for SURE: watch out you don’t over-torque or strip out a nut or screw with it.